Adding templates to an After Effects project may be a great way to make your videos look more professional. A template designed for the After Effects software is a fully customizable AE file that is well organized and it enables users to easily enter text, change colors or design elements. Downloading and using some of many available After Effects templates will surely enhance your videos and give them a fresh visual style. 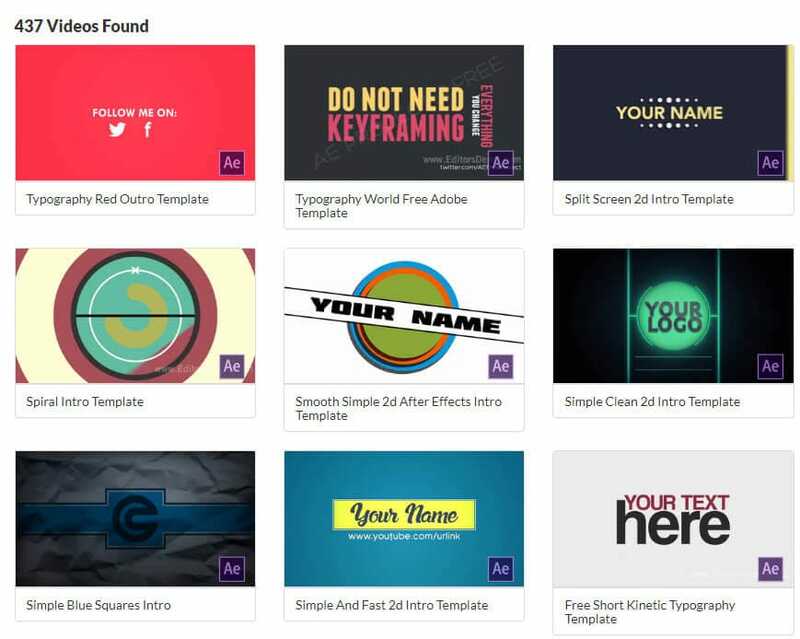 Here are 15 best places on the Internet that provide a large number of different After Effects templates. If you like, you can also make grunge texture in After Effects. Filmstocks is a one-stop shop for royalty free video effects, music and sound effects, stock video footage and more stock media. 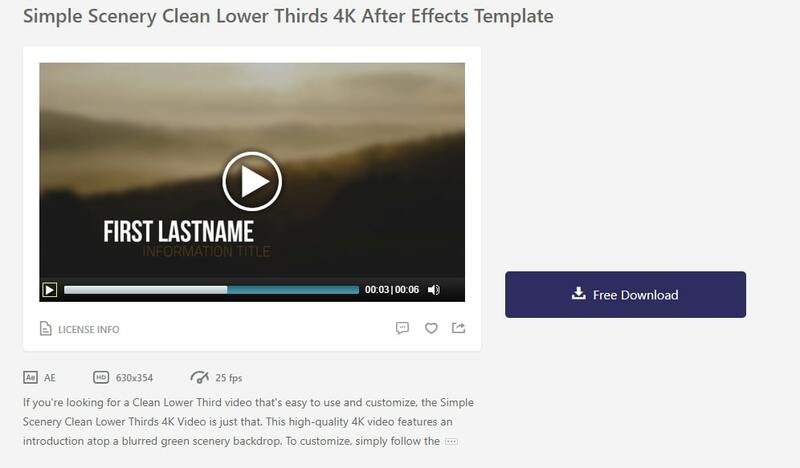 You can download both free and paid after effects templates for Adobe After Effects on Filmstocks as well as some free stock video and photos and royalty free music and sound effect. 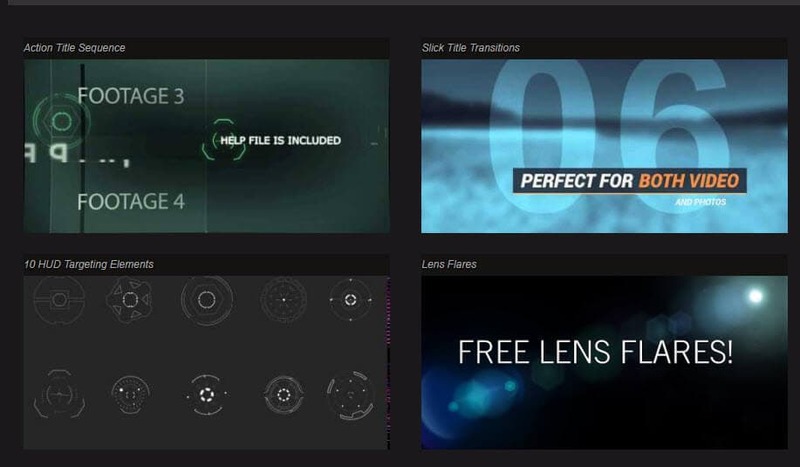 Visit the Free After Effects Templates on Filmstocks and explore more creative resources for your video. FilmoraPro is a powerful video editor for middle level users. If you want to make excellent effects, FilmoraPro will give you more than 50 settings. With FimoraPro, you can make fireball, bullet, or lighting. FilmoraPro can help you extend your imagination to the sky. Apart from making video effects, you can edit video clips in unlimited timelines. Download it to have a try (Free)! If video editing is new to you, you should consider Wondershare Filmora9, which is a powerful but easy-to-use tool for users just starting out. Watch the video below to check one special effect named Blockbuster. With Filmora9, you can apply some built-in effects/templates to your video footage or find some specially designed special effects from the Filmora Effects Store. 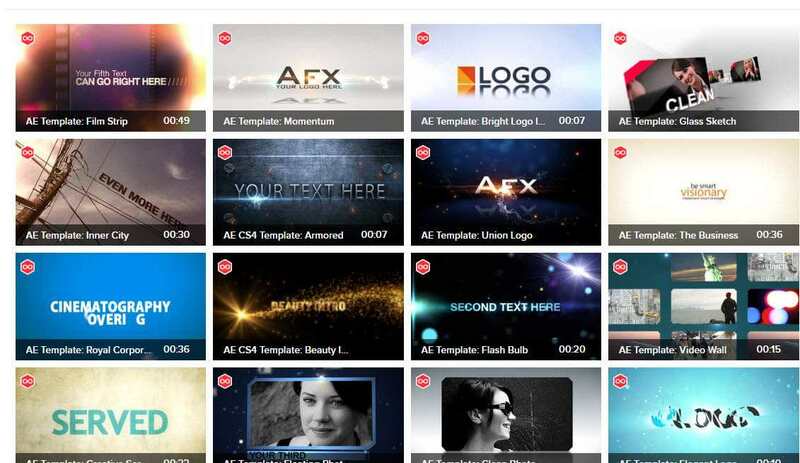 Motion Array is a platform that offers access to thousands of different AE templates. Creating an account is free of charge, but Free Account users don't have access to all the templates available. You can also use fractal generators to automatically make beautiful fractals. Even though Premium Beat is primarily a website that offers Royalty Free Music and Sound Effects, their blog is a great source of information about the best AE templates. Their articles also feature links to download templates so users can find out more about the template before downloading it. 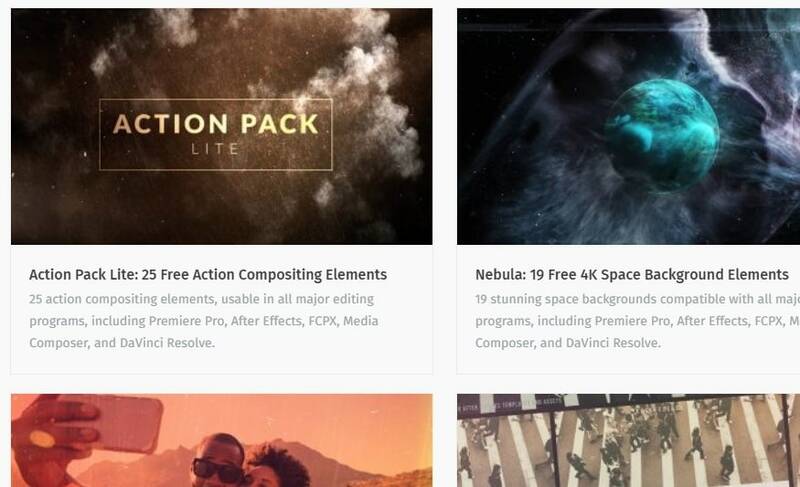 Besides being one of the best places on the Internet to look for latest AE templates, VideoBlocks also offer access to a wide variety of stock footage and backgrounds you can use in your projects. Editorsdepot features more than 500 different templates available to the website's visitors, which gives them the freedom to select the template that best serves their needs. 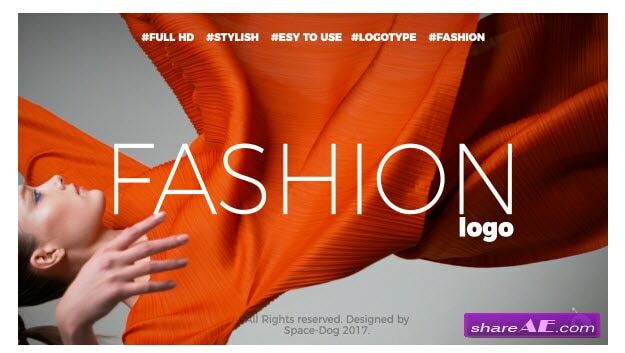 Downloading AE templates from this website is free of charge. 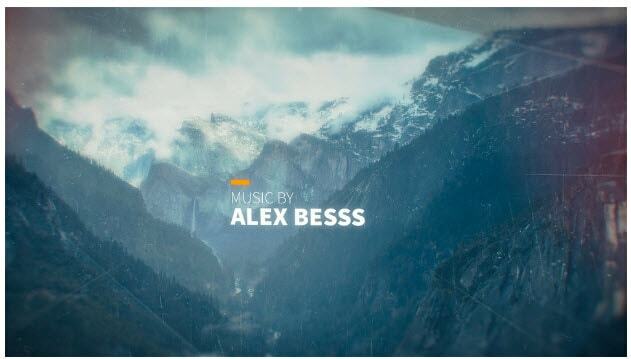 Choose from hundreds of AE templates available on Videezy that will make your intros or other motion graphics look like a professional designed them. Accessing the full range of the website's services will require you to create an account. Shareae offers much more than AE templates because visitors and members can also download Sound Effects or Stock Footage. The website also provides AE tutorials to its users who want to learn more about this software. If you are looking for Openers, Logo Stings, Titles, 3D Elements or Infographics the Freealleffect is the right place for you. 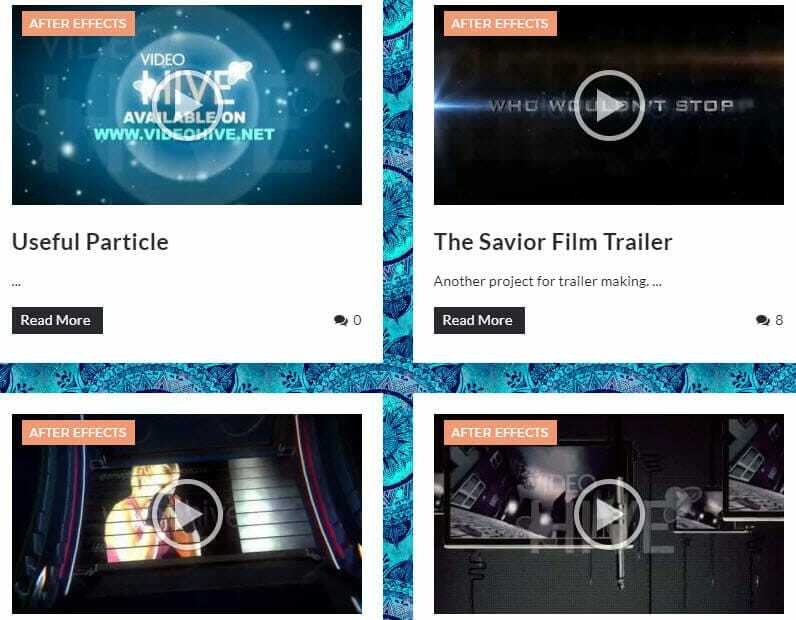 Furthermore, After Effects users in need of assistance with their project can find valuable tutorials on this website. If you would like to download AE templates from this functionally designed website you will have to create an account. However, it is worth it because you will be able to choose from a large number of different AE templates that can make your videos more appealing to its audience. 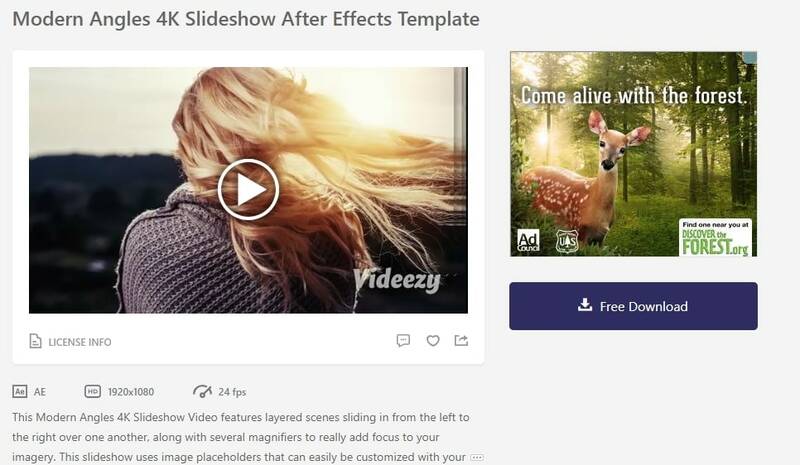 Don't be confused by the name, because 99templates website offers much more than just 99 After Effects templates. All content can be downloaded for free, but if you are using AdBlocker you might have to disable it because 99templates has strict ad policies. Rocket Stock is a place where you can find rich template resource. Every month, you can get freebie easily by signing up. 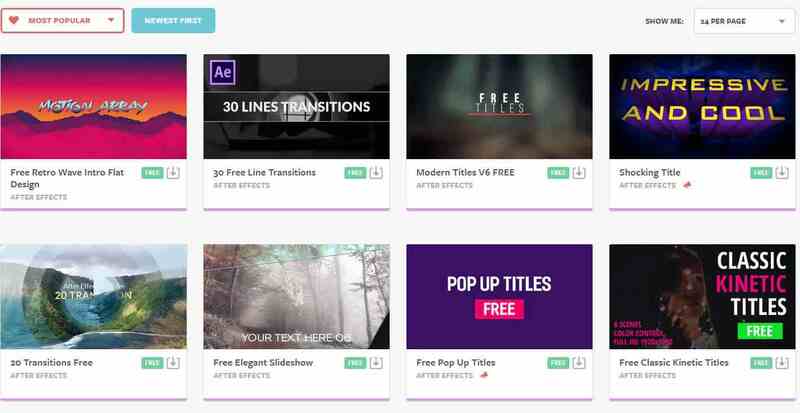 From 4K space elements to poly titles, you can find the best free after effects templates without too much effort. If you want to have more choice, it also offers premium template. However, if your requirements are not high, the free effects can totally meet your needs. It includes 4K slidshow effects. If it has the image, it has placeholder, so you can change it easily. The scenes are layered from left to right. The FPS is 24, which can meet most users' needs. 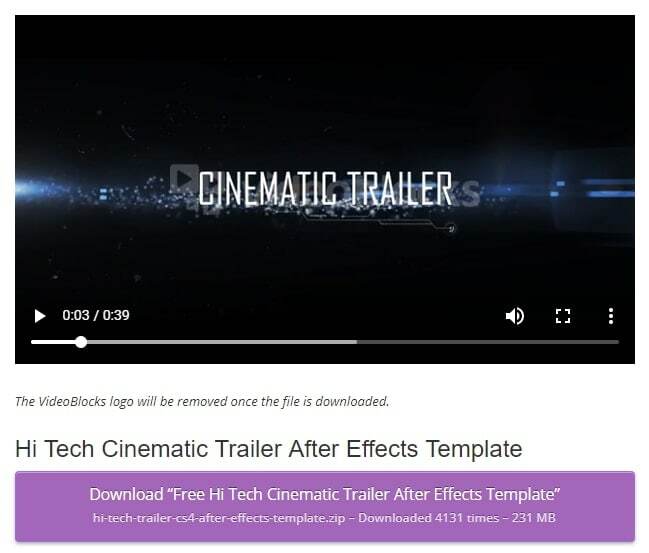 If you like clean and modern lower third video effcts in After Effects, check this free after effects templates. It has build-in instructor, so just follow its direction to customize text font, color and more. If you have a wedding, this after effects is perfect for you. 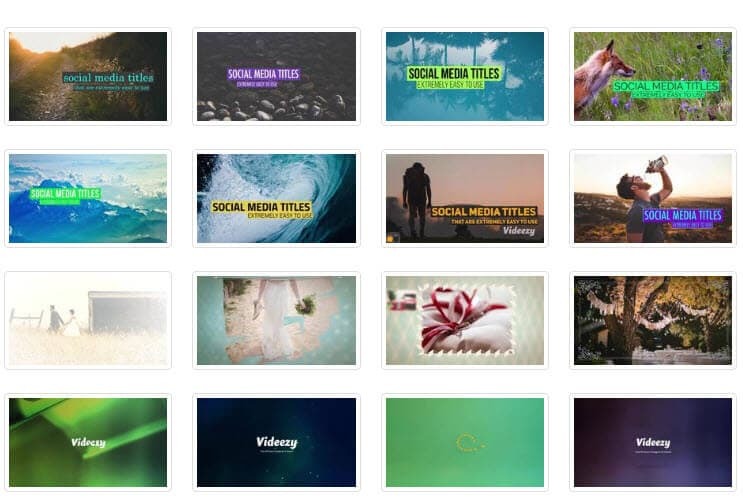 This elegant slideshow template include 6 images. 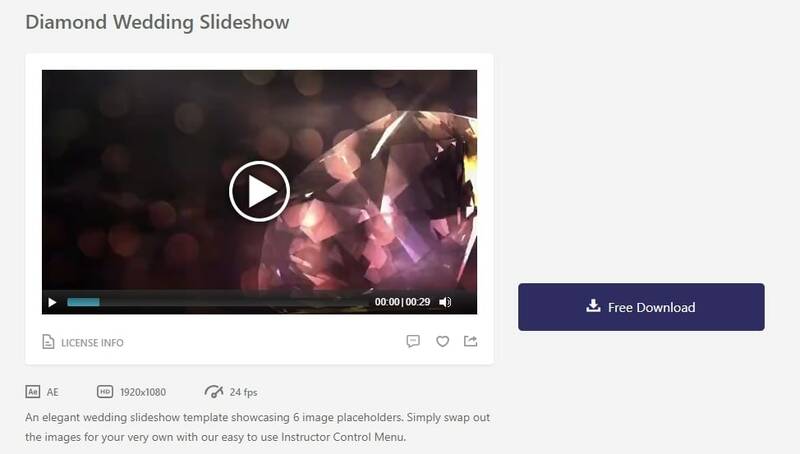 If you want to change the built-in images, just follow the instruction in the video to better your own image slideshow. 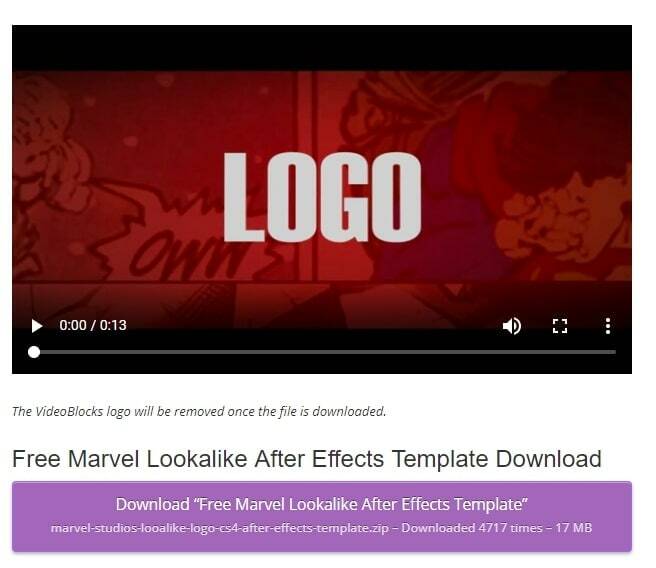 This After effects is in marvel style. For image, you need to insert your own image to replace the previous. If you like superhero, or like some cool effects, you'd better check this one. This effects is in cinematic style. You can change the text color and font, so you can find a font that is suitable for your video. The whole effect looks like high tech. 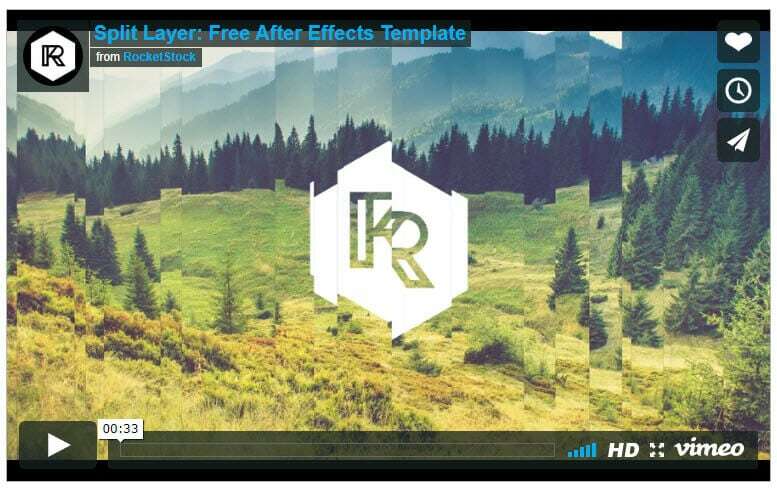 If you like this kind of free after effects templates, check it out! If you are tired of using After Effects, why not choose Wondershare FilmoraPro? It is a professional video editing software that can power up your story. It is easy to use compared with After Effects. You will have more controls over the video effects and transitions. Auto color correction and automatic audio sync can help you save a lot of time. So, if you want to experience a new way to edit video, download Wondershare FilmoraPro now (Free)! Do any of these work with Filmora? Hi, some of these effects can work on Filmora? ?